1. Get started by preheating the oven to 350 degrees. 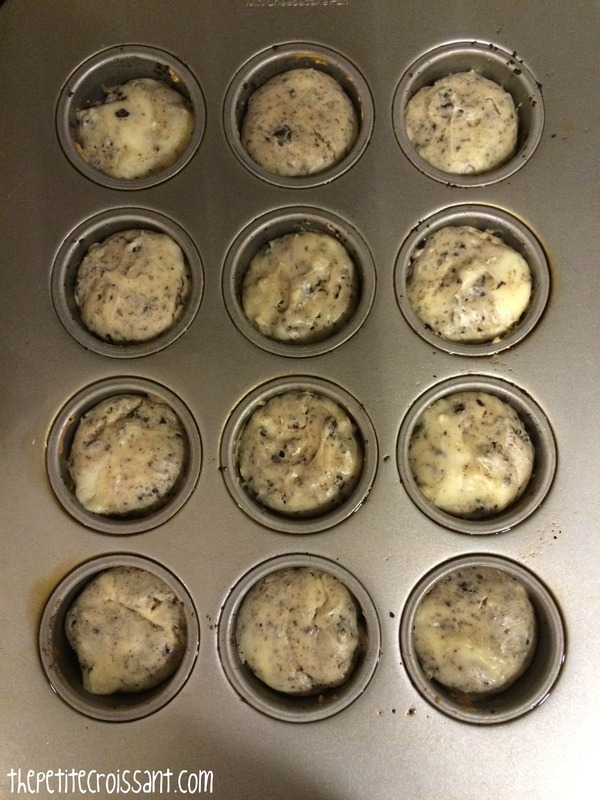 Prepare your mini cheesecake pan (yes this is a thing, you can’t use a regular muffin pan or you’ll never get them out) by lightly greasing each spot. 2. 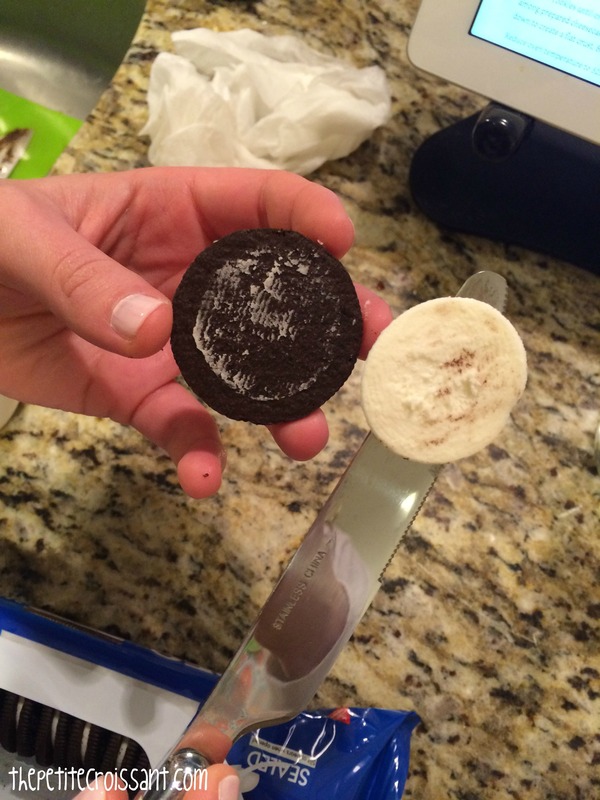 Place 10 Oreo cookies, with the frosting still inside, in a ziplock and smash them up. Place the crumbs in a bowl and add butter. Mix and then divide amongst the spots on the pan. Place the pan in the oven and cook for 5 minutes to get the crust to set. 3. Once the crust is done, reduce the oven to 325 degrees. 4. 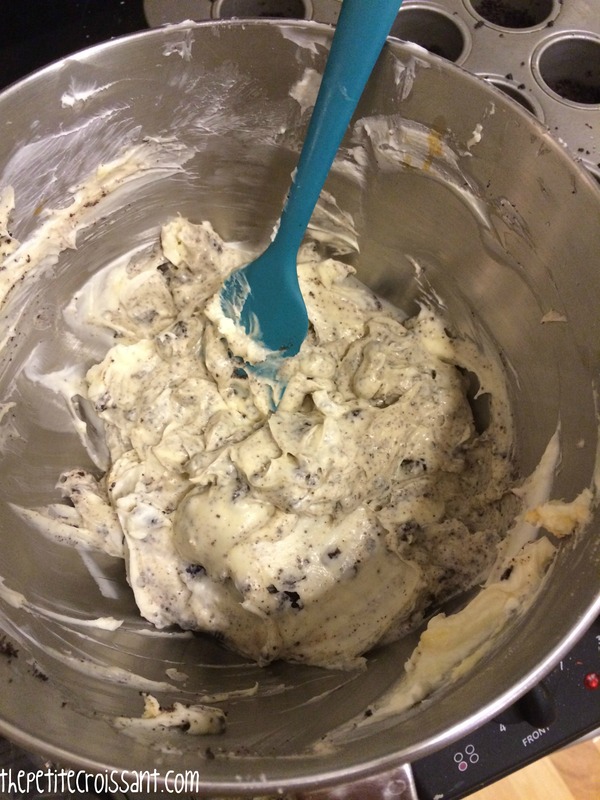 In the bowl of your stand mixer fitted with the paddle attachment, beat the cream cheese and sugar until smooth. 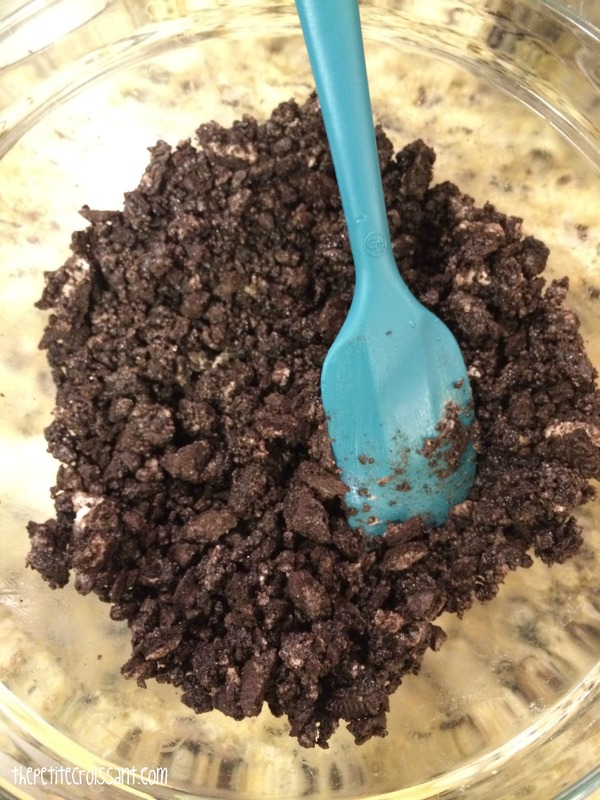 Add the vanilla, cookie bits, and egg and continue mixing until fully incorporated. Fill each spot on the pan until they are all 3/4 full. 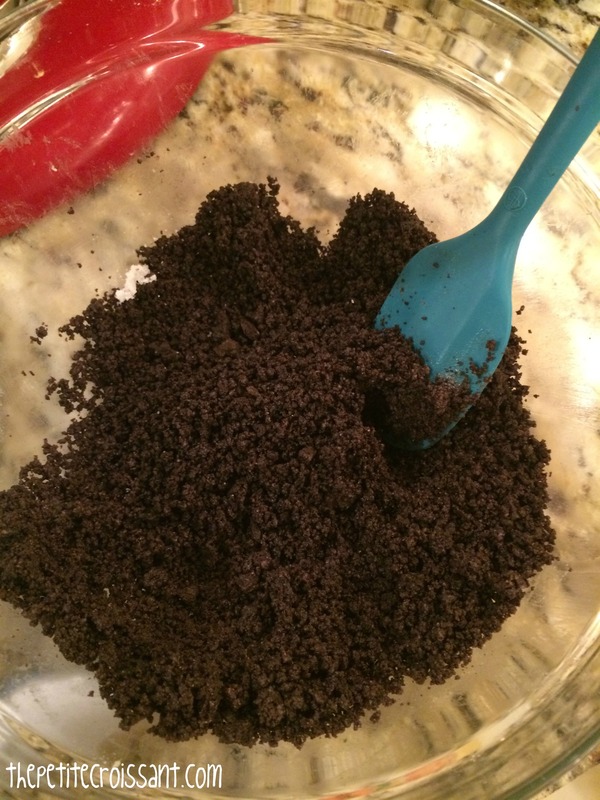 Pick up the pan and lightly tap it on the counter to get rid of any air bubbles. 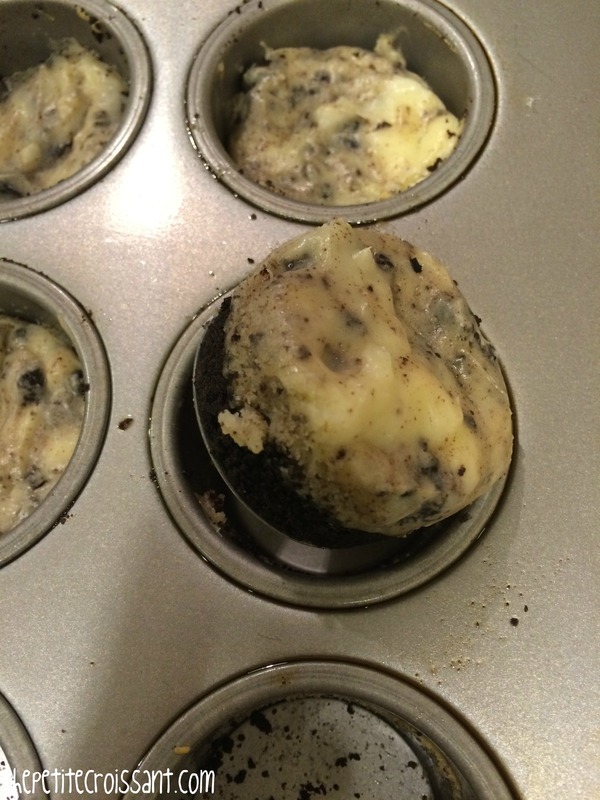 Bake the cheesecakes for 14-17 minutes until the edges start to lightly brown. 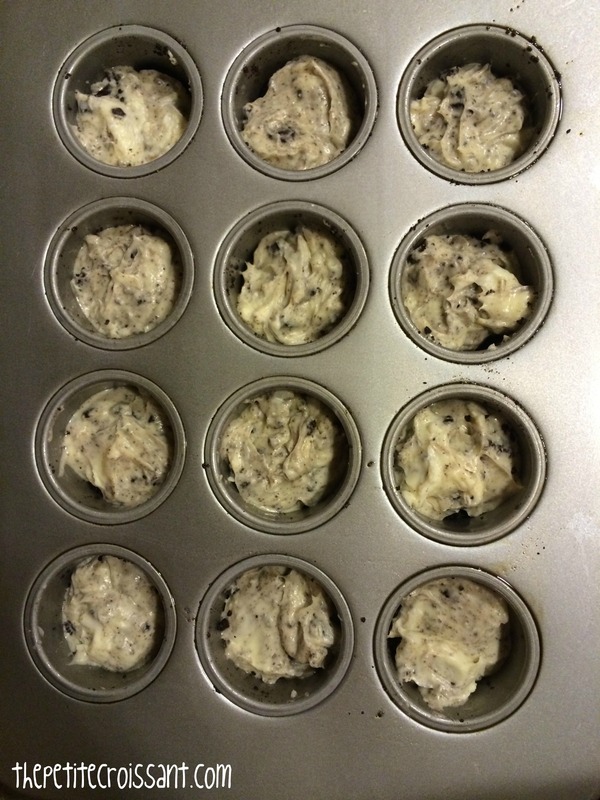 You will want to let them cool completely before you try to remove them from the pan. 5. Store them in the fridge until right before you want to serve them. 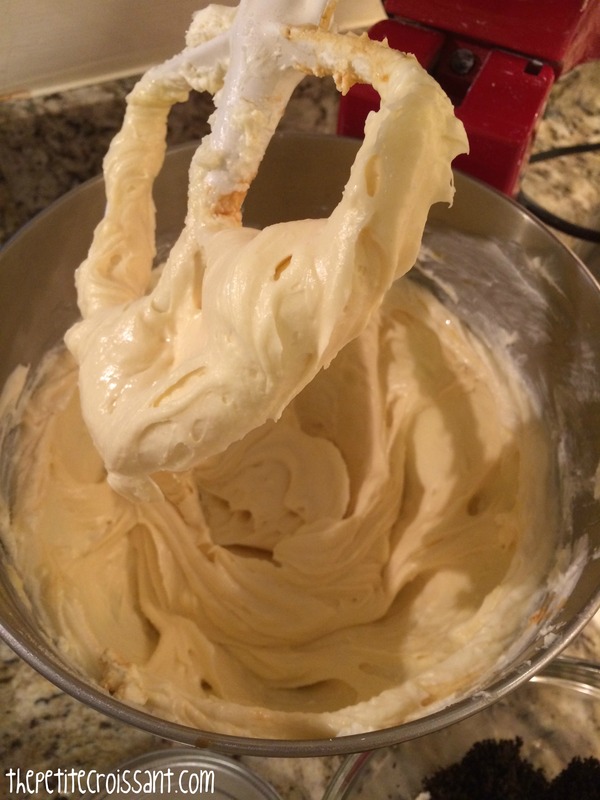 Before serving, mix the heavy cream, sugar, and vanilla in the bowl of your mixer fitted with the whisk attachment. Beat until stiff peaks form. 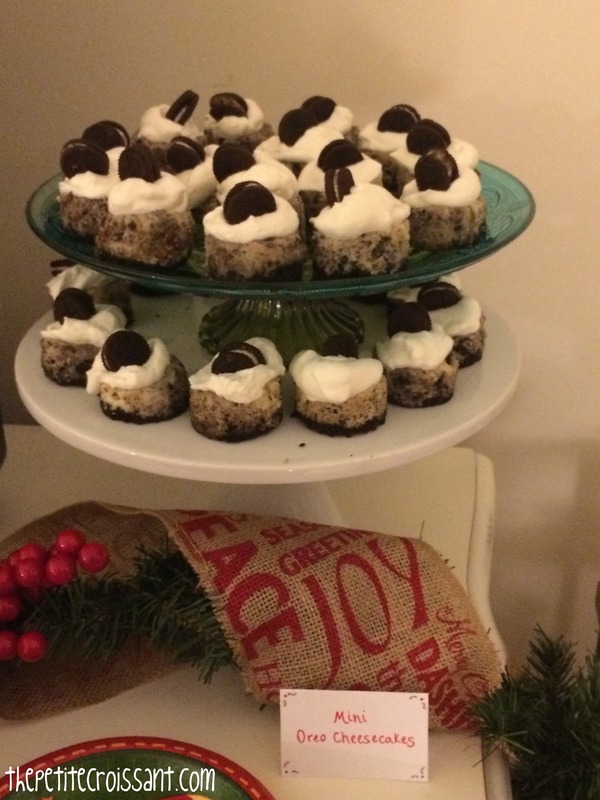 Top each cheesecake with a dollop of whipped cream and then place an oreo in the top. Enjoy!